Object Explorer allows you to inspect objects in a server and manage your server and databases. 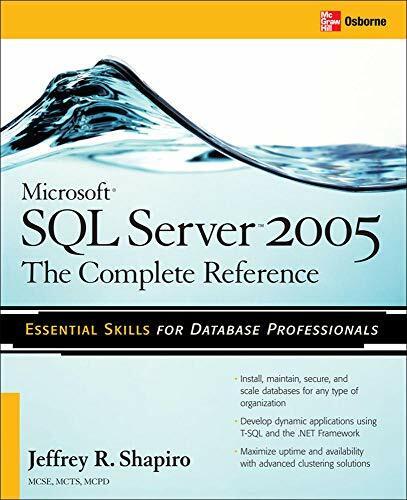 Get started in this excerpt from SQL Server 2005: A Beginner's Guide. General properties of the database (Figure 2-6) include, among others, the database name, the owner of the database, its collation, and size. The properties of the data files that belong to a particular database comprise the name and initial size of the file, where the database will be stored, and the type of the file (PRIMARY, for instance). A database can be stored in multiple files. NOTE: SQL Server has dynamic disk space management. This means databases can be set up to automatically expand and shrink as needed. If you want to change the Autogrowth property of the Files option, click . . . in the Autogrowth column and make your changes in the Change Autogrowth dialog box. The Enable Autogrowth check box should be checked to allow the database to autogrow. Each time there is insufficient space within the file when data is added to the database, the server will request the additional space from the operating system. The amount (in megabytes) of the additional space is set by the number in the File Growth frame of the same dialog box. You can also decide whether the file can grow without any restrictions (the default value) or not. If you restrict the file growth, you have to specify the maximum file size (in MB). The Filegroups properties of a database contain name(s) of the filegroup(s) to which the database file belongs, the art of the filegroup (default or nondefault), and the allowed operation on the filegroup (read/write or read only). NOTE: Only the system administrator or the database owner can modify the database properties mentioned above. To delete a database using Object Explorer, right-click the database name and choose Delete.